The new Atomic Vantage 90 Ti W is a ripping new ride for the strong intermediate to expert level skier who want true all-mountain versatility. 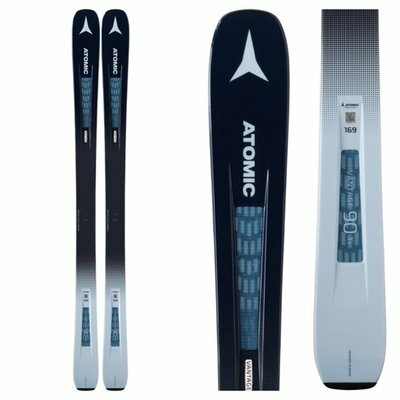 Atomic's new Prolite Technology adds the lightest and strongest materials into the construction first then adds reinforcements in strategically placed areas to keep the performance up while the weight is a minimum. The Energy Backbone adds extra power across the edges and spine of the ski for maximum energy transmission. The new Titanium Tank Mesh adds extra stability and edge grip when your speed really picks up or conditions get a little chunky. The Power Woodcore is loaded with energy and spring to each turn you make. The 90mm waist feels quick and nimble when you want to carve it up on the frontside of the mountain, easy to steer in the bumps and offers decent floatation when you get a powder day.